Or are they? The news the other day is that this will be a calmer hurricane season for Hawaii in 2012 than average. While that may not be much fun for the daredevils and storm chasers out there, I think most people will welcome riding out the remainder of the year with fewer causes for concern. Of course, predicting hurricanes — like any natural disasters — is subject to margins of error, but Hawaii is no stranger to tsunamis, earthquakes and the like. That being said, let’s hope the nice folks at the Central Pacific Hurricane Center didn’t get their storm charts crossed (ok, ok, I know they really use GIS, remote sensing and other high-tech tools). But whenever I see news like this, it makes me think of the precarious nature of Hawaii’s ‘settled presence’ on our islands — namely, where we’ve decided to build homes and infrastructure. The ‘human layer’ on top of the existing physical island. 1. 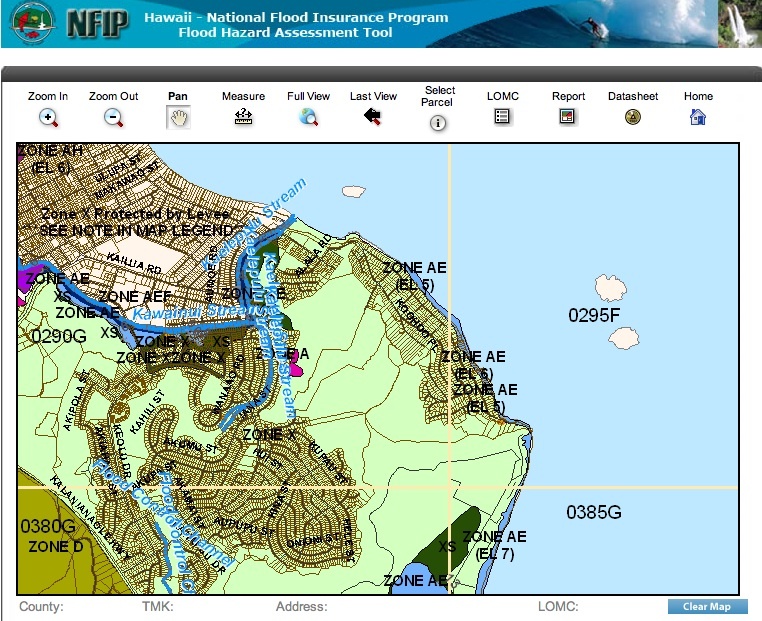 Learn about the shoreline setbacks that exist in your island/county. Is it 40ft? Or 50ft plus an erosion multiplier? 4. Don’t build any erosion control structures without TONS of due diligence. 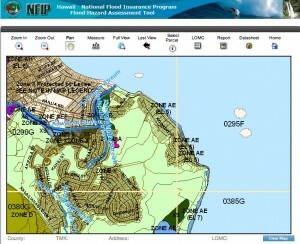 This means seawalls, revetments, groynes, piers and more. It’s the State policy to discourage such efforts of shoreline hardening (armoring). 5. If you’re in the market for a new home, think very hard about whether you want beachfront or not. Understand how the beach ‘behaves’ by the home you’re considering. Is it accreting or eroding? Is it subject to massive sand depletion and replenishment throughout the year? Know your beach before buying your home. In the long run, you may be safer and more at ease looking at the ocean from a bit further back. In last week’s article, Part 1 on Student Housing in Hawaii, I mentioned how many cash flow investors overlook student housing because of misplaced ideas of crazy students running around and damaging their property. 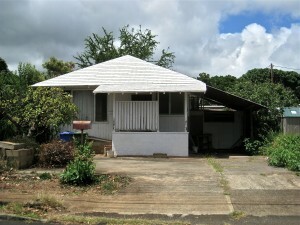 In today’s Part 2, I want to dispel that idea and give you some basic rules on capitalizing on this great renter pool right in your own Hawaii backyard. College students are, for the most part, responsible and growing adults. Treat them as such and you will be rewarded with happy tenants who will not want to be forced into finding somewhere else to live. Do NOT visit the house everyday, every other day or even every week. They have parents — they don’t need you. You are their landlord and nothing more. As such, they have a right of privacy. My terrible landladies (see Part 1) would visit all the time, completely unannounced. I don’t know what made their home so bad they had to hang out at ours, but it made all of us feel uneasy, unwelcome and a bit like lab rats. Respect your tenants’ privacy. If you are renting out a house, decide upfront if you will rent the entire house as one unit or if you’ll rent individual bedrooms. If you’re more of the hands-off landlord, then opt for the former. Allow overnight guests. This is another trick my former evil landlady threw at me at the last minute as we were signing the lease (and I had decided against a previous room elsewhere). Want your tenants to feel unwelcome from the start? Want to let them know right away that you don’t trust them? Then don’t allow overnight guests. However, if you accept the fact that people tend to do things like date and have relationships (I know, completely ridiculous, right?) and the occasional visitor from the mainland, then just let it happen. It’s OK to be clear that you don’t expect it to be abused and that you’ll be monitoring the utility bills, but don’t ban it outright or you’ll be looking for new tenants. See Point #1. Lastly, check the latest laws on renting to students under 21. Don’t risk getting in trouble over alcohol. If you’re renting to undergrads, then you might have a mix of under and over 21-year olds. Just be careful. If your tenants are graduate students, then you won’t have any concerns. 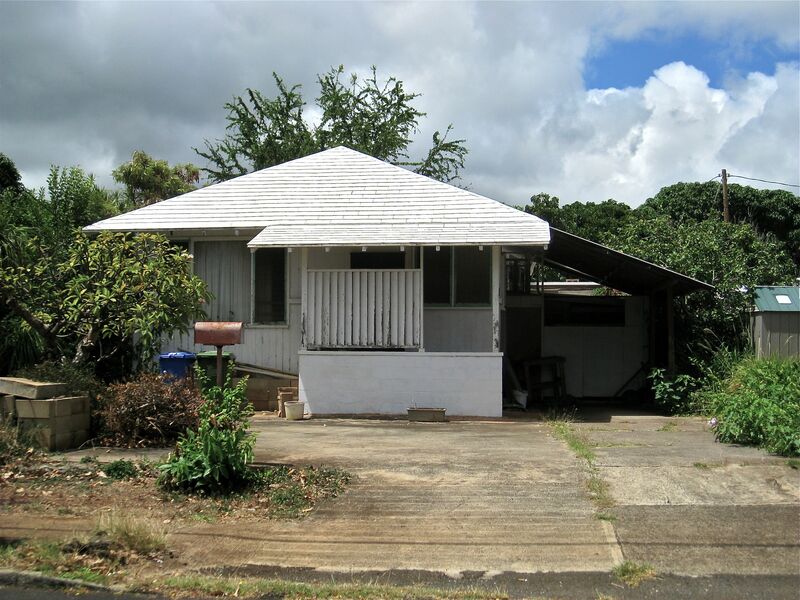 Hawaii DCCA Landlord – Tenant Information — Download the PDF Handbook! What tips do you have? Any experience in this matter? Leave your comments below! Ugly Houses in Your Neighborhood – What To Do? Aloha! I hope everyone has enjoyed a fun and safe Independence Day Weekend here in our beautiful Hawaii. As I sit here in a street cafe writing this post in Kapahulu, the afternoon sun is out, the winds are blowing through the trees and you can tell everyone’s having a great time. Sounds good to me! But while the the setting sun and fireworks may be a beautiful sight to see, there’s something in our midst that is anything but beautiful — ugly houses! I’m sure you’ve seen them about, maybe even in your own neighborhood. Possibly even your next door neighbor! You know what I’m talking about — high grass, weeds, mail piling up, peeling paint, junked cars, rusted mailbox, etc. So what’s really going on behind the scenes of these ugly houses? Maybe the owners still live there, maybe there are bad tenants or maybe it’s been abandoned altogether. So what can you do if you have one of these ugly houses in your neighborhood? If you have a cordial relationship, ask if they need the name of a good handyman or general contractor. This is much more tactful than saying “What’s up with your head-high lawn?” They might respond with the true story of why the house is in poor shape. Talk to the next door neighbors. They might know more than you do. 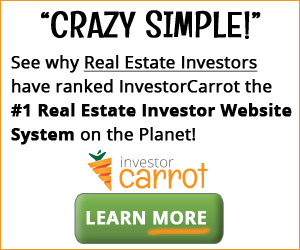 Talk with a local Hawaii real estate investor (such as myself!) who may be able to locate and speak with the owner, purchase the property outright (while helping the owner at the same time) and fix it up, thereby helping keep your neighborhood looking beautiful and keeping your property value from dropping unnecessarily. This can be as simple as calling them, giving them the address and letting them do what they do! 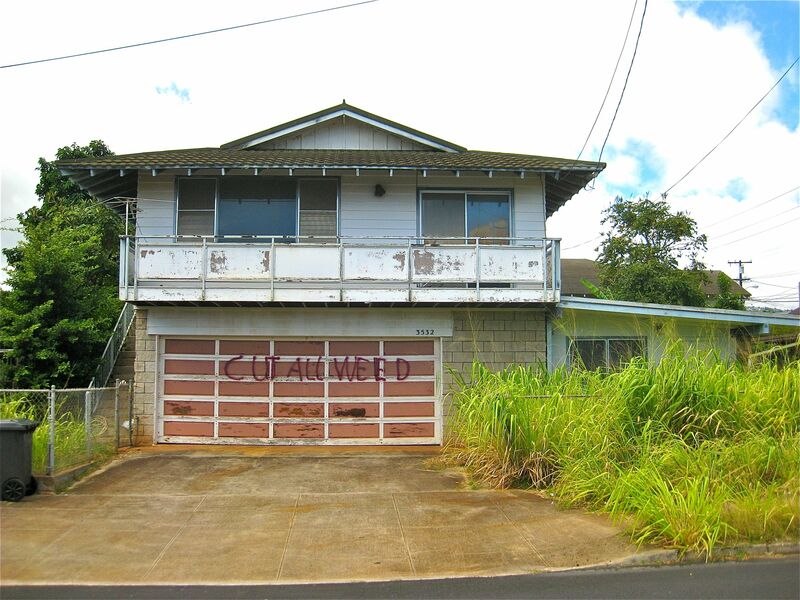 If the owners can’t be found or are uncooperative in addressing their property’s effect on the neighborhood, then call the Honolulu County Department of Planning and Permitting’s Residential Code Enforcement Branch at (808) 768-8127. Even the best neighborhoods in Hawaii have that one house that’s an eyesore, that makes all the other responsible homeowners wince every time they drive by. You don’t have to sit around hoping it will resolve itself. Somewhere there’s a problem that needs a solution, a situation that needs to be resolved, a homeowner that needs help. You can help by reaching out or anonymously speaking with an investor or the local authorities.